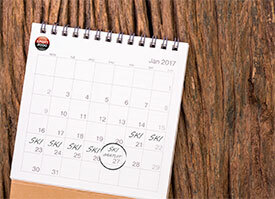 7th day of ski hire is free! Hire equipment for 7 days, get one day free! The 7th day of ski hire is free if you book your equipment. So why not make the most of your last day in resort, or even extend your stay by several days! You will be given a minimum additional discount of 5% on your online booking if you have a Sport 2000 loyalty card! In order to benefit from this discount, please remember to enter your loyalty card number at the " Options " stage of your online booking or when viewing your basket. 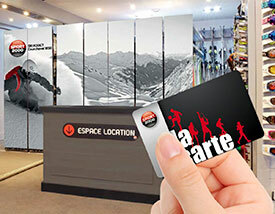 Loyalty card holders will be given the best price for any products booked, with the exception of Primo skis.